Haha I got good and bad inside. Honest one. Haha but Nvm, I got recognise by them hahaha. Just met menzbazaar. Yan dao sia. Fitness model! 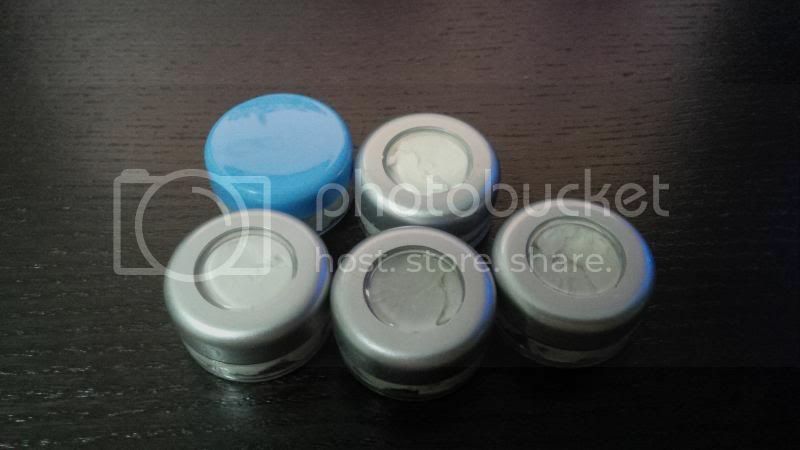 anyway the hairbond distorter given by Stam, i went to buy 4 containers and 1 given by JH to share around. Last edited by gaoxing84; 12-09-2013 at 01:40 AM..
i think dior runway is JH! haha waiting for his review of gold digger! very important! OKAY! Here are my thoughts after using gold digger for one full day after getting it from gaoxing bro yday. On first sight, the packaging is small and petite. Easy for bringing around especially for travel purposes. A volume of 65ml at a cost of $20+ sounds reasonable to me, from the perspective of an end consumer. And after opening it, the first instinct will be to smell it. I am no fragrance sucker but i am very sensitive to smells. Cannot be too fragrant or stinky. It got to suit the context that you are looking at. Gold digger falls onto the side that it emits a slight masculine smell. Just nice for me. So the next question to ask will be how much to use per application. This question is pretty subjective as it depends on one's hair texture and it varies for everyone too. Below image shows how much i used for today. More or less the amount that i used for styling products as my hair is longer and thicker. stam and gaoxing84 like this. Last edited by leejhong; 12-09-2013 at 01:15 AM..
Who else going for hardwell? Let's meet up! BTW JH! your review should be the one up in Slikhaar FB! 1,2,3 3,2,1 JH JH LUMBER 1!! YAY! Best review i read so far. 3 points all in! Technical Knowledge, Styling Tips and Detailed Review! Last edited by gaoxing84; 12-09-2013 at 01:19 AM..
Just now that one is your gf ar? aha! JH review sibei kua zhang. you go menshealth be one of their editor sua. Ask them give you a column LOL! every mth u review hair wax product. haha! Btw guys! I find that q8 powder then gold digger works much better than quicksand then gold digger or salt spray the gold digger! The texture of the powder completes the gold digger. It's like it'll counter the heaviness of gold digger. And cos the powder is sooooo easy to apply, it's super quick to spot apply the powder in a targeted manner. So volume goes where you want it, and you can still use the weight of gold digger to hold the back side down. Haven't tried q8 then quicksand cocktail with gold digger though. But q8 then quicksand then whatever is just meaningless since they work the same way. The latter method negates the point of powder application. Just something to take note of. haha. ya lor. i read alr also wow! haha they should. then free product to review for menshealth or GQ even! that's true. although i don't use powder. haha. don't know how to use. LOL. i stick to convention way of blow drying with sea salt spray. Edit: u probably had bad experience with powders before. But this is different. This is q8. This is revolution. Revolution on par with quicksand and gold digger. Revolution full of win. Disclaimer: I ain't earning no **** for q8. My promotion for this is purely cos I feel it's so sick awesome. Although I've been using it for sometime I only mention in depth now cos jh got stocks liao! So early adopters dunnid to look high and low like I did. He ain't giving me money or what! In fact I'm trying to jio him to try it ASAP! Ahaha! Looking at you jh bro xD dunnid so apprehensive! Just wack then review only xD! This stuff is that imba. Last edited by deaththeorist; 12-09-2013 at 02:04 AM.. They all say the don't know what shampoo until quite up there. I personally haven't try it yet though. Think its what kan ni na bu shampoo. Kanebo lah! No Kanebo no talk! Lol all stalker! Btw you just added me? Or is it someone else?